Friday night in Nashville, the one tenth that separated California rivals Blue Devils and Santa Clara Vanguard seemed about as close as two scores could get. As the two corps — both celebrating key anniversaries in 2017 — have shown this season, history continues to rewrite itself. 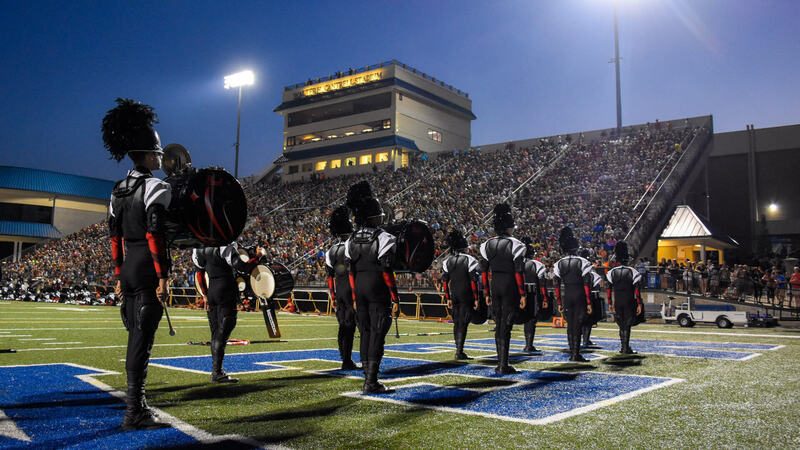 With just over one hundredth between the two corps on Saturday night during the DCI Southeastern Championship presented by Jupiter, Mapex and Majestic, the Devils kept their undefeated season alive by a sliver, earning a 93.138 to Vanguard's 93.125. Once again within striking distance of taking the lead over the Devils — who took first in the color guard and overall visual captions — Santa Clara Vanguard posted high marks in percussion and general effect on way to the corps' second-place finish overall. 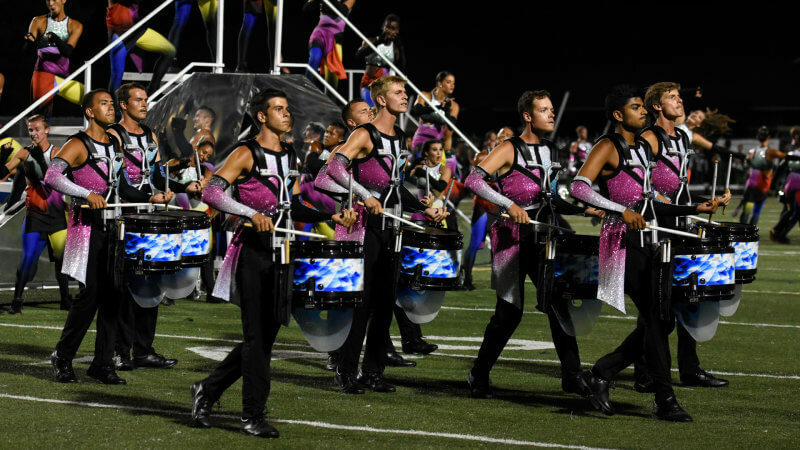 Separated by less than two tenths in Friday's Nashville event, Carolina Crown (3rd, 91.688) and Bluecoats (4th, 91.175) stayed just a hair apart, with Crown regaining its first-place position in the brass caption. 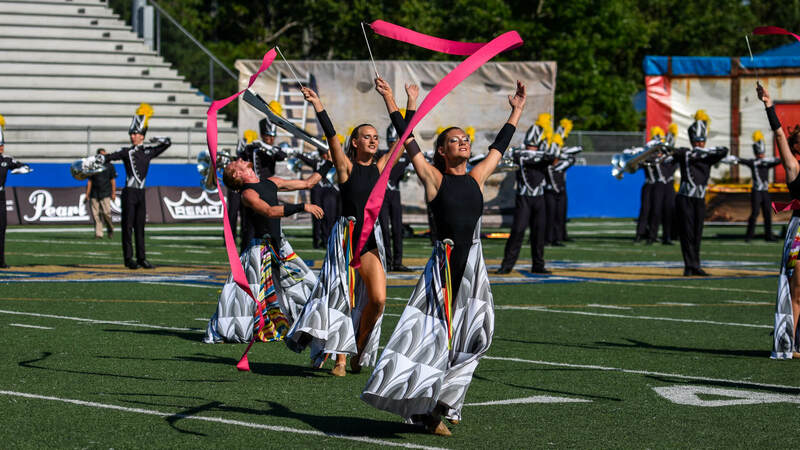 The Cavaliers once again took fifth place, inching closer to reaching the 90-point milestone with a score of 89.850, while finishing as high as second in color guard. Once again just over two points behind the Green Machine were The Cadets, who scored a 87.638 to finish in sixth. In seventh with a score of 85.500, Phantom Regiment kept its slim advantage over the Blue Knights (8th, 85.250) thanks to a sizable lead in total visual, while the Blue Stars took ninth after posting a score of 83.350. 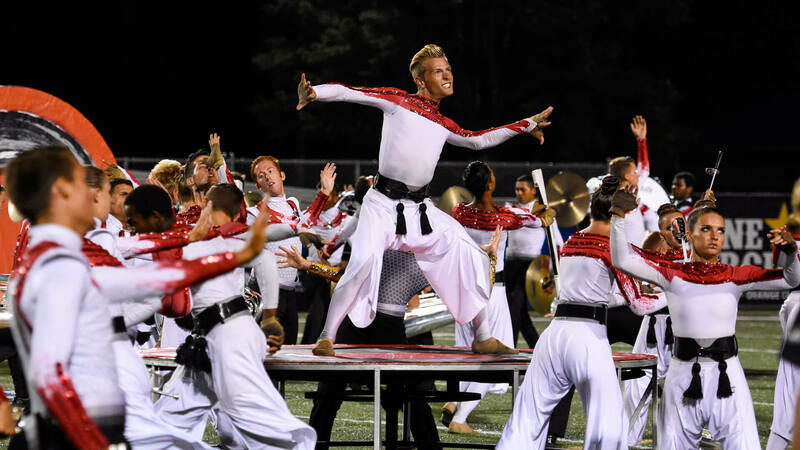 The La Crosse, Wisconsin-based corps' show, “Star Crossed,” has experienced several additions over the past several weeks, as the Blue Stars look to keep pace in a hotly-contested position battle with the Crossmen, who were not in attendance at Saturday's event. The Academy (10th, 78.625) on Saturday introduced a new ending to its lighthearted, entertaining production, “By a Hare,” while taking 10th place across the board on the score sheets. Behind the Arizona corps was Saturday's hometown team, Spirit of Atlanta, which eclipsed 75 points for the first time this season with a score of 76.075 to take 11th place. Two corps that have swapped places a few times this season, Pacific Crest (12th, 74.550) and Oregon Crusaders (13th, 73.700), saw the gap between them grow from just over half-a-point in San Antonio a week ago. Just under two points back from there, Genesis (14th, 71.900) once again kept a small lead over Seattle Cascades (15th, 71.450), with Jersey Surf (16th, 68.100) and Pioneer (17th, 64.550) rounding out the World Class standings. For Surf in particular, horn sergeant Michael Halvocage felt strongly about how his corps performed on Saturday, despite not being inside the usual confines of the Georgia Dome which closed its doors earlier this year. 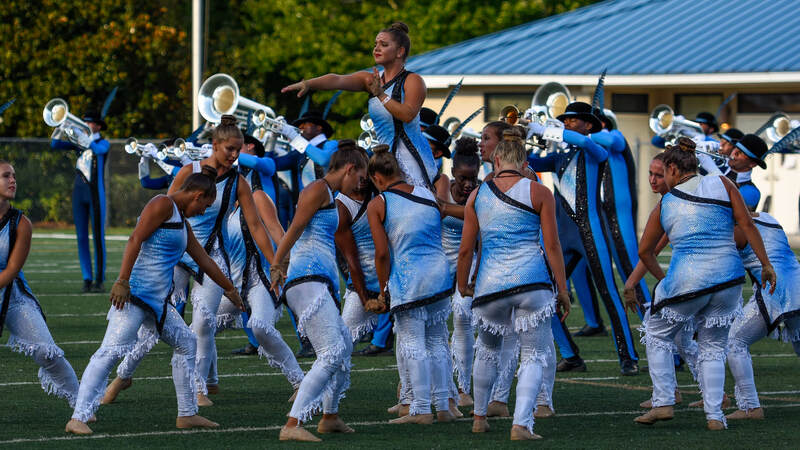 All-age corps Atlanta CV also made its traditional appearance at the DCI Southeastern Championship performing in exhibition in front of a welcoming hometown crowd. With another key event in Winston-Salem, North Carolina less than 24 hours away, several of these corps will be headed that direction, with the entire World Class division making its way to the DCI Eastern Classic in Allentown, Pennsylvania next weekend for two exciting days of competition.